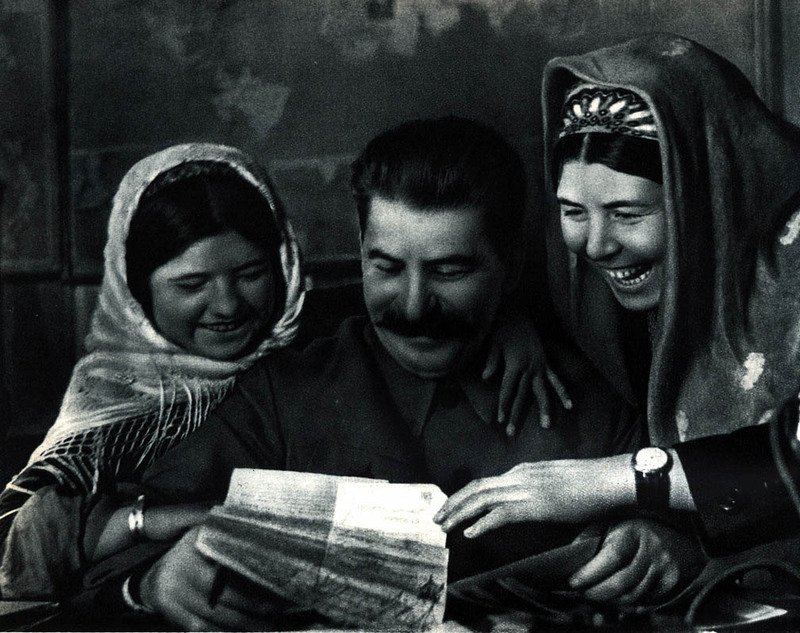 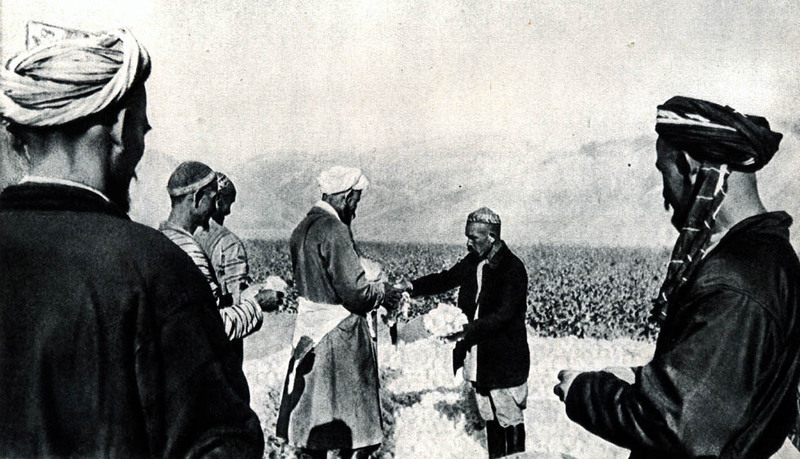 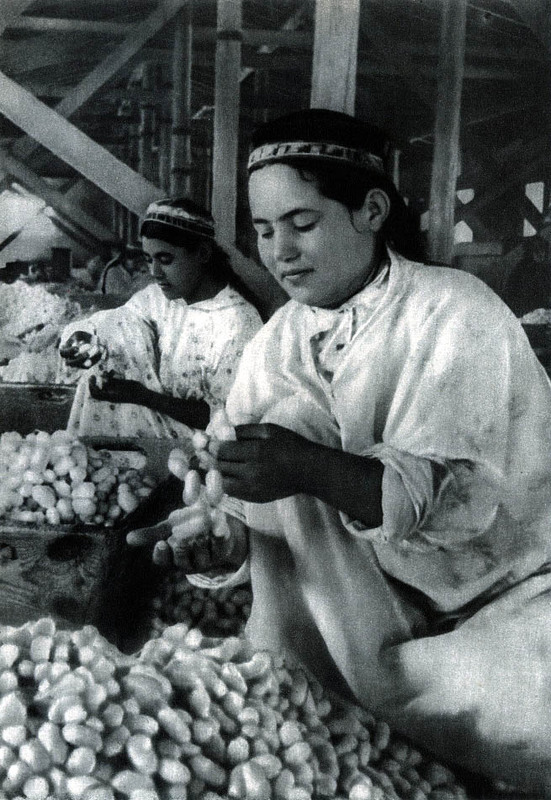 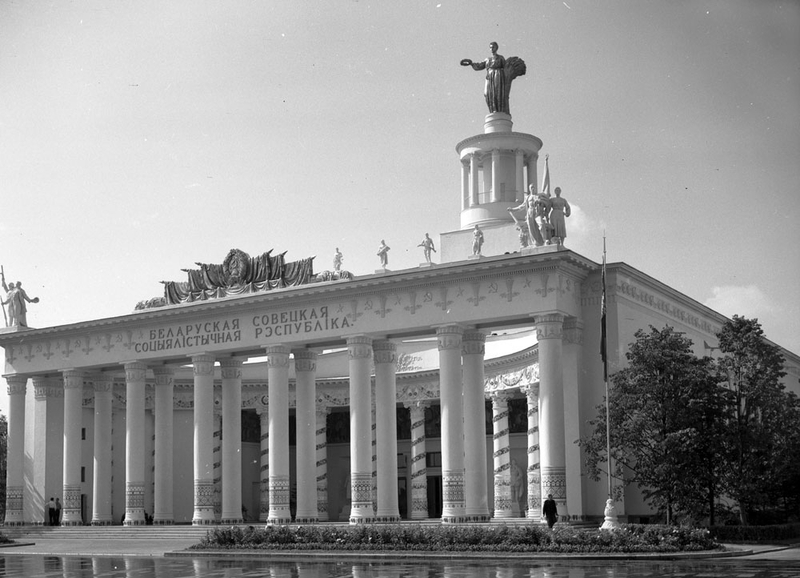 Among its many purposes, the Agricultural Exhibit was a site for the definition and fixation of Soviet ethnicity. 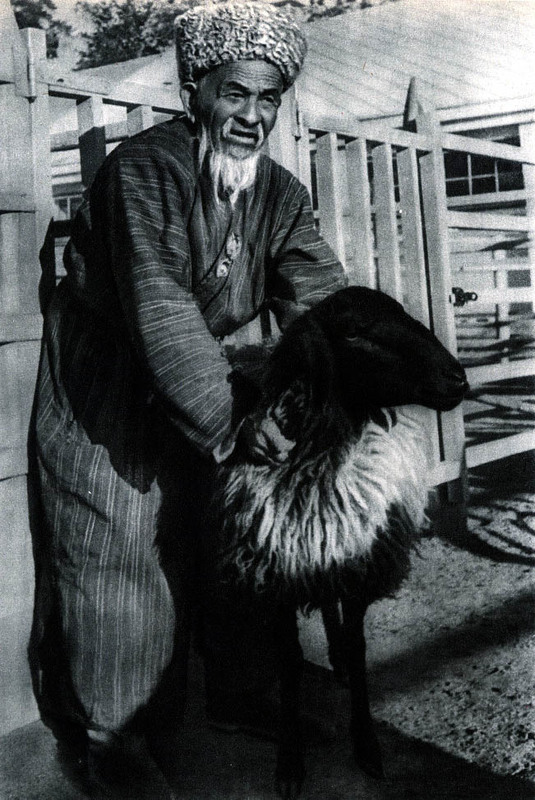 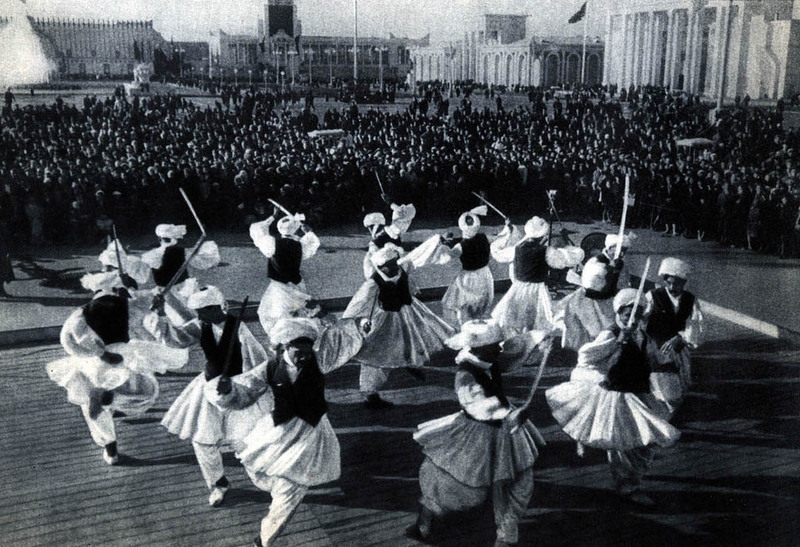 In the wake of the 1939 census, ethnic groups with a history of fluid identity found themselves constrained by state norms of culture and territory. 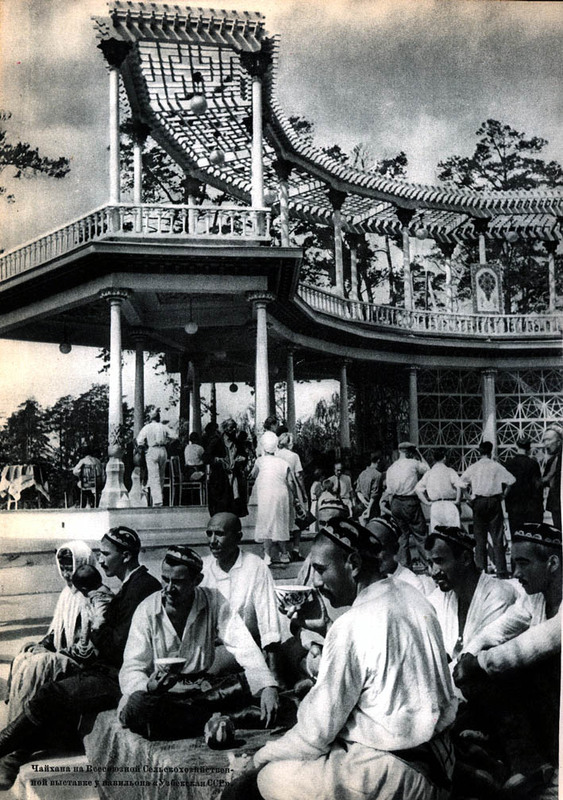 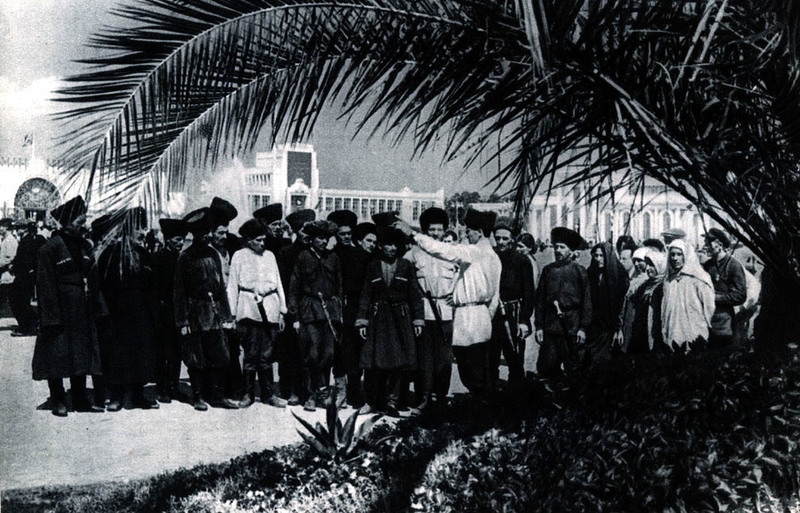 The Agricultural Exhibit, which featured identity-based pavilions for the ethnic republics, was a stage on which guests performed their group identities. 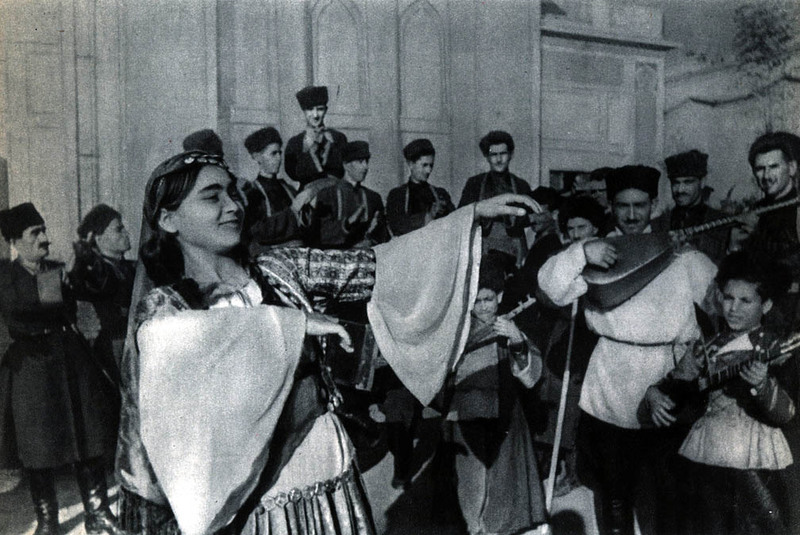 In a lavishly produced photo book of 1939, various non-Slavic ethnic groups were photographed in their “native” costumes and poses. 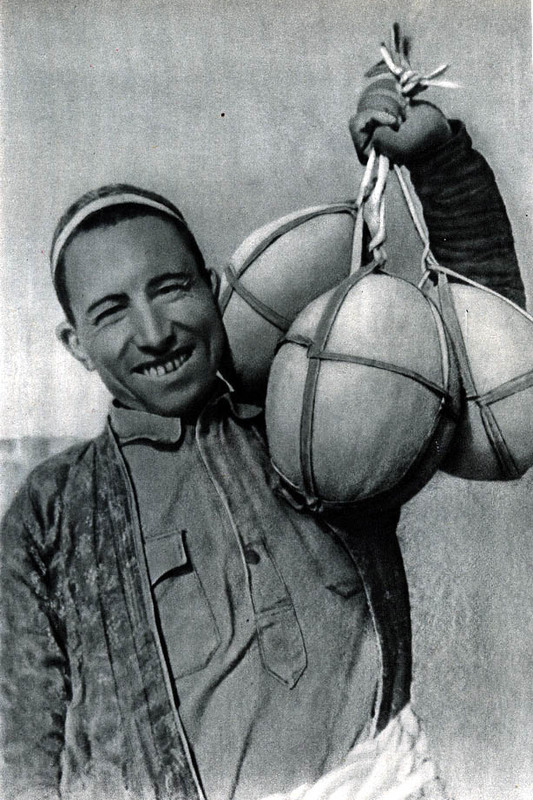 Many thanks to David Brandenberger for finding, scanning and sharing these pictures. 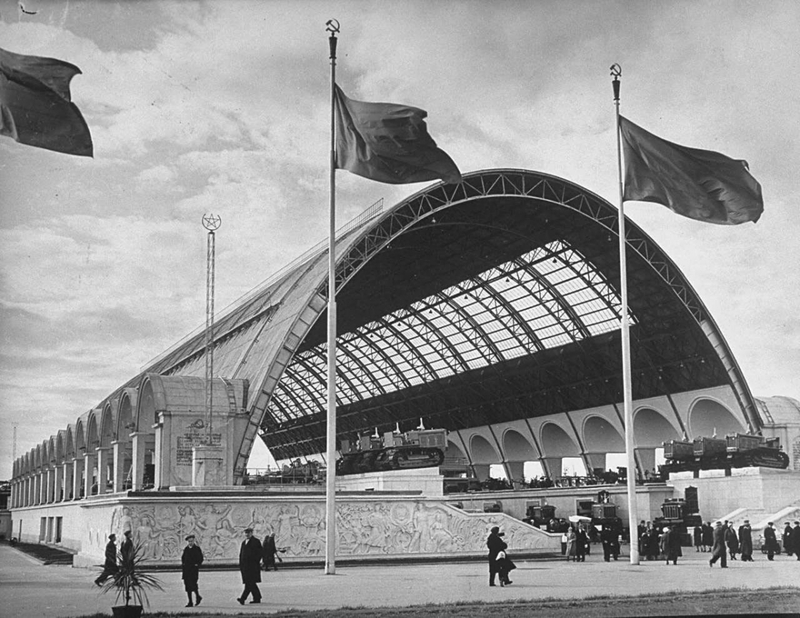 Architecture was one of the spectacles of the Exhibit. 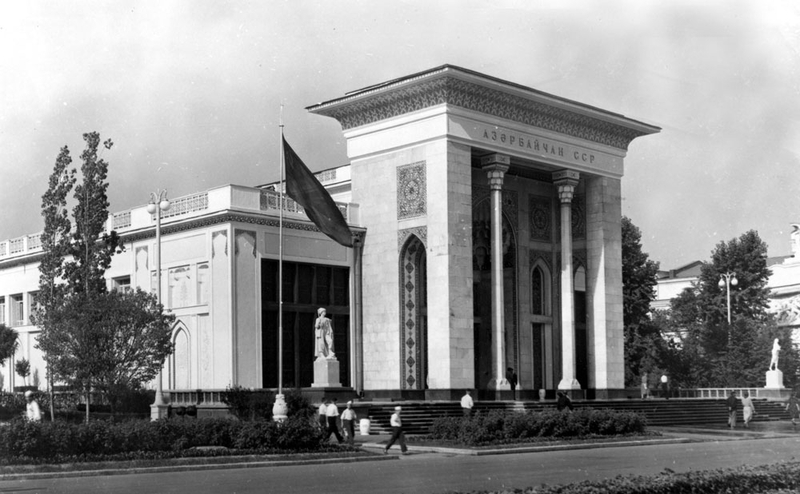 Modernist architects were invited in the 1930s to build stone-clad showcases for the ethnic republics. 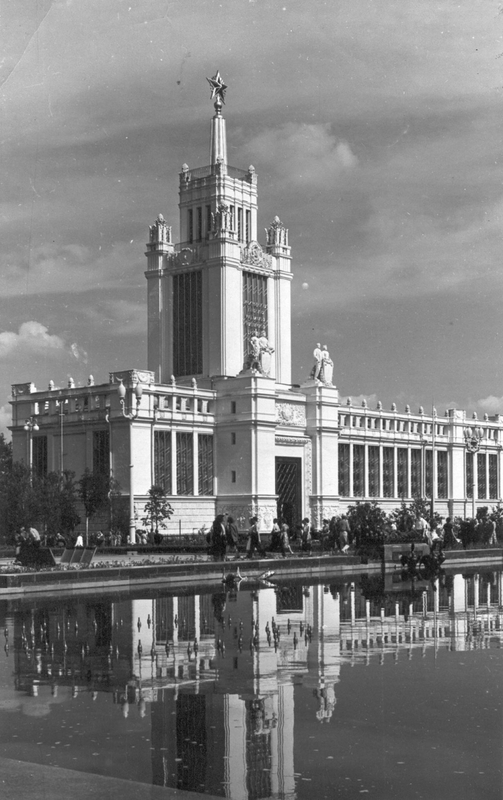 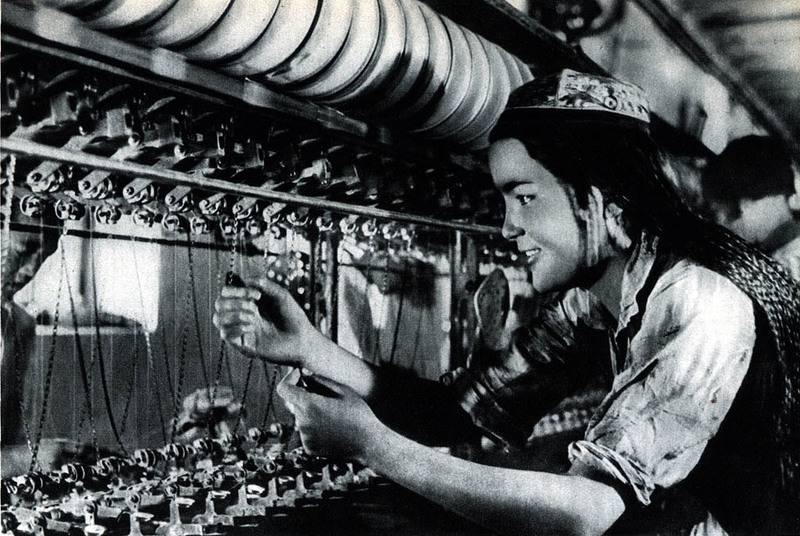 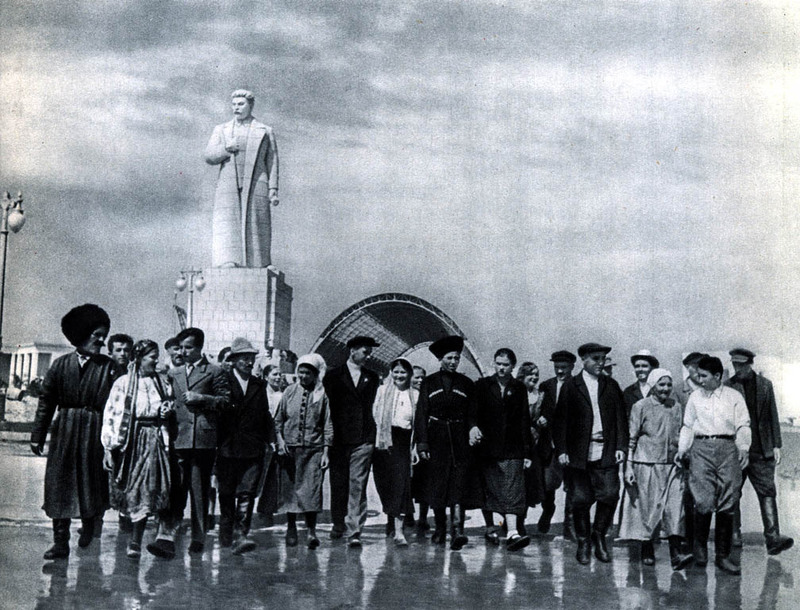 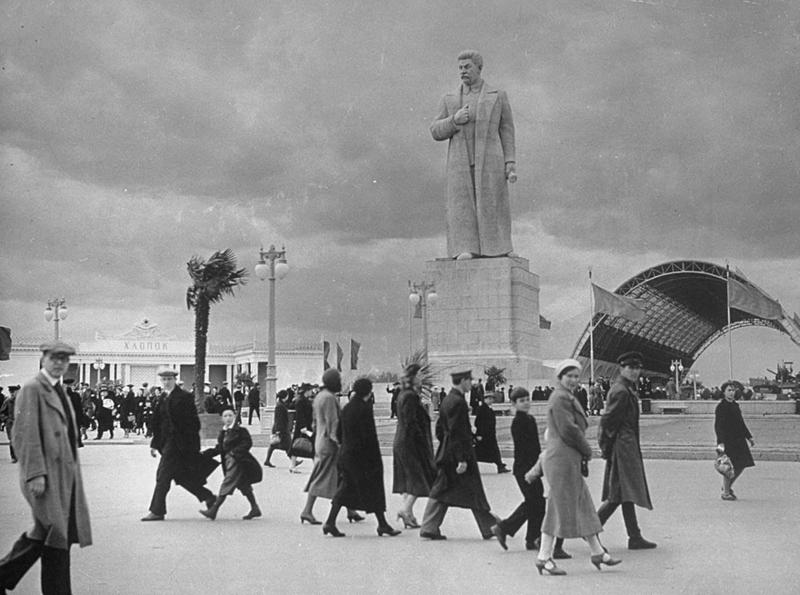 When the buildings were reconstructed in the post-war years, they reflected the more ornate tastes of that era, and they shifted focus from a celebration of national culture to the glorification of the Soviet economy. 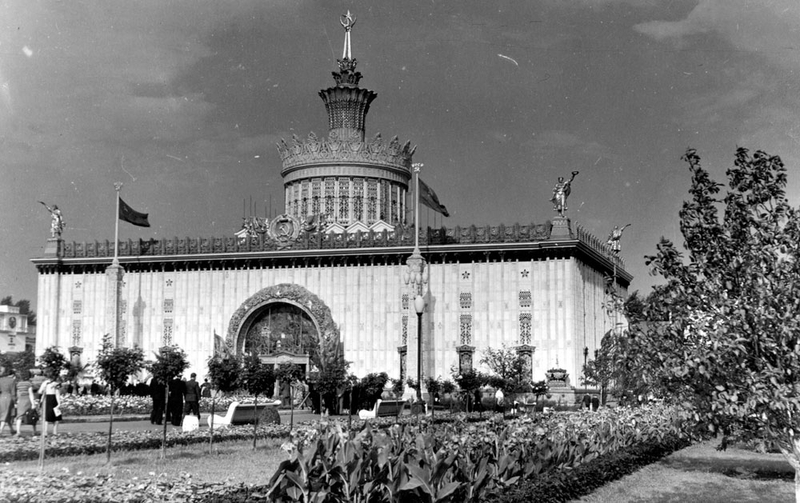 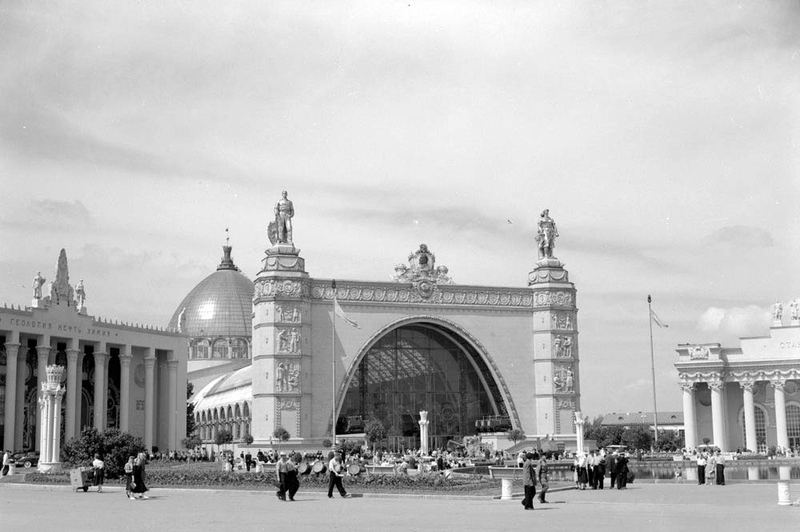 The severe Ukrainian Pavilion was rebuilt as the ornate Agricultural Exhibit, overflowing with ripe ears of wheat. 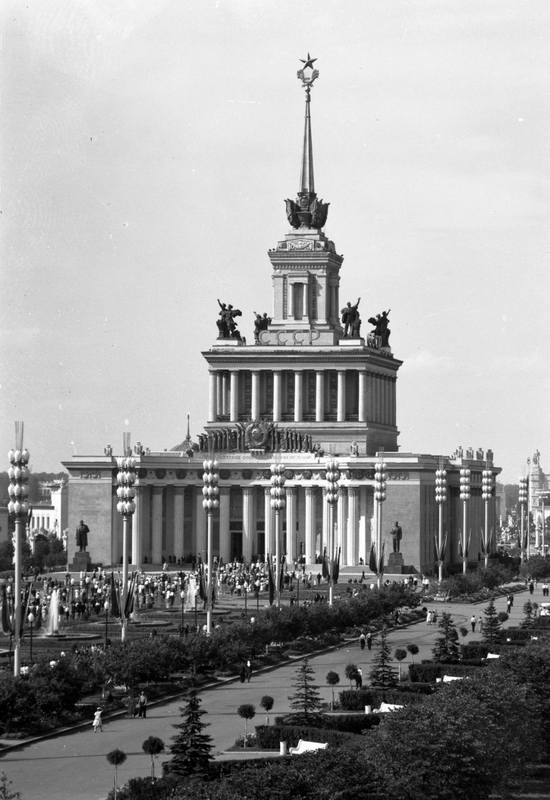 Other buildings celebrated Heavy Industry, Agricultural and Mechanization.